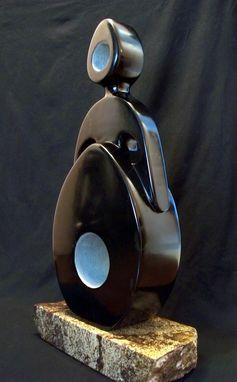 This was one of three minimalistic sculptures that were commissioned by ARTSHARKS (An art dealer based in London & Kuiwait). It was custom made for a specific location (a large nook) , as requested by one of their clients. 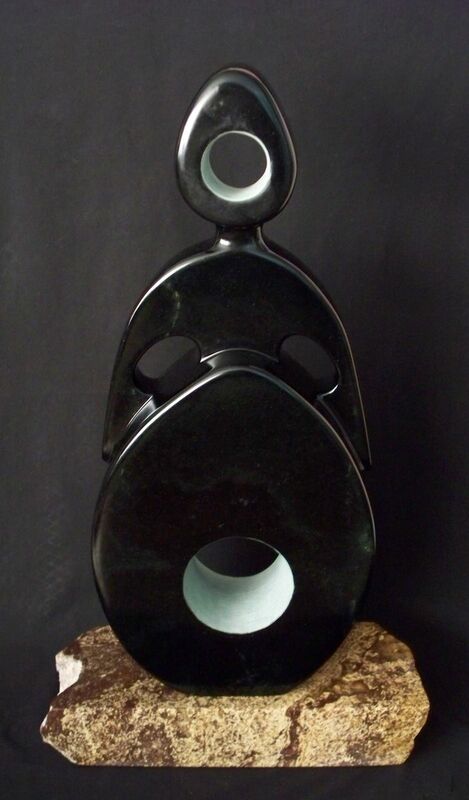 It was one of two sculptures that I carved from a 600 lb block of black Chlorite. It is shown on a Pyrophyllite Plinth (which was included in the sale). The black portions have been sanded to 1500 grit and then oiled with linseed oil. For contrast, I left the interior with a much rougher texture, which makes it appear to be an off-white.